Rescuers were tasked to assist the crew of a 36ft motor boat on Sunday after it caught fire in The Solent. UK Coastguard asked Gosport & Fareham Inshore Rescue Service (GAFIRS) and Portsmouth Lifeboat to assist just after 1pm after the vessel issued an emergency radio distress call. 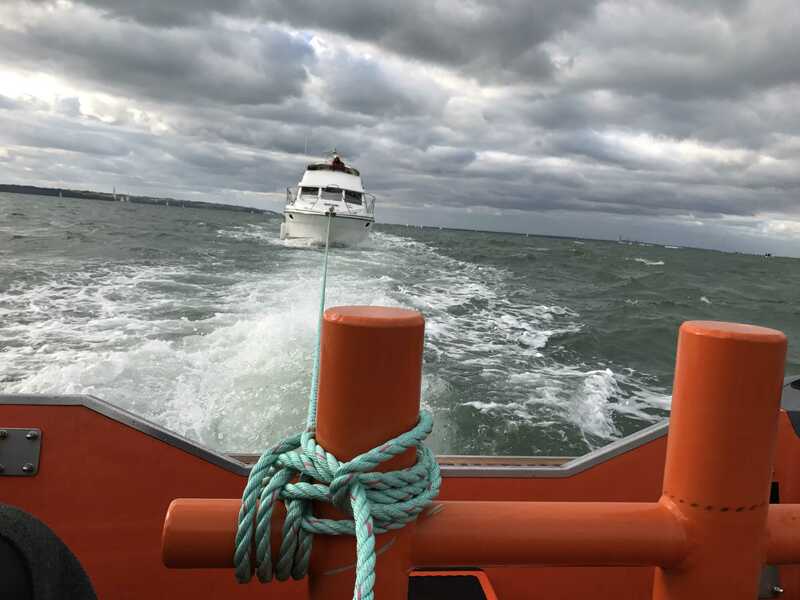 When GAFIRS located the vessel – which was around a mile off Browndown, Gosport – smoke had filled the cabin of the flybridge vessel. The two crew on board the vessel were transferred onto Gosport Independent Lifeboat before a GAFIRS crew man investigated. GAFIRS towed the vessel to Camber Dock where the Portsmouth Coastguard Mobile team and the fire service were waiting. 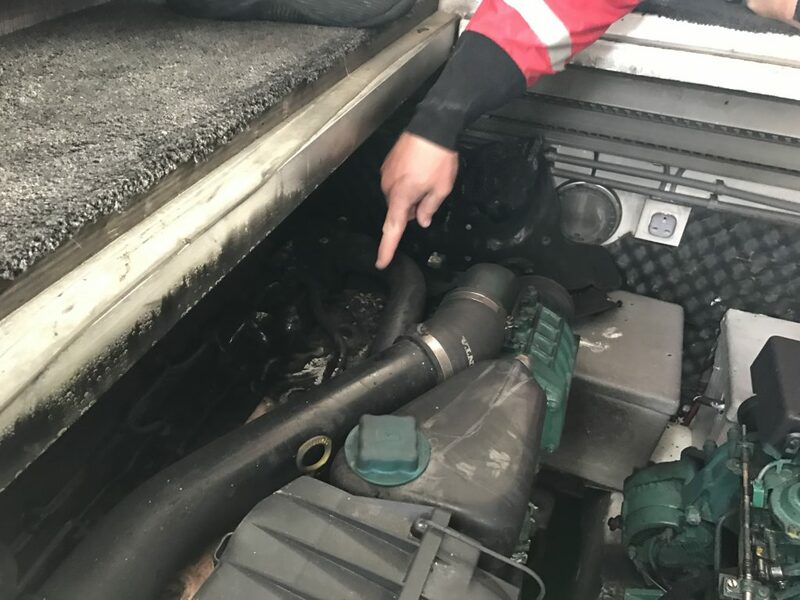 Firemen used breathing apparatus to investigate the engine bay and discovered the source of the blaze on top of one of the engines. 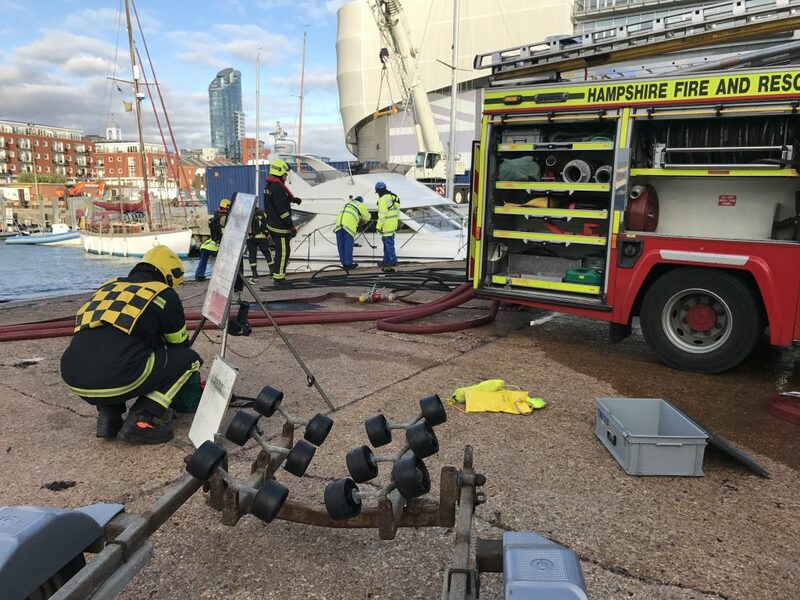 Once the fire service were happy the vessel was safe to move, GAFIRS towed it to Haslar Marina where Hillhead Coastguard Mobile team helped Gosport Independent Lifeboat bring the vessel safely alongside. In total the rescue lasted three hours and was Gosport & Fareham Inshore Rescue Service’s 106th incident of the year. GAFIRS is an independent lifeboat station manned entirely by volunteers, on call to the Coastguard 24 hours a day, 365 days a year.